The strength behind the Net-Works partnership is what makes Net-Works work. Interface provides business strategy, startup capital and a global network. ZSL provides conservation expertise, local community organization and local partner development. And Aquafil provides an innovative regeneration process that recycles the nets into yarn. The core team is dedicated to a long-term agreement: to work together to co-innovate an inclusive business model that can grow and scale. Net-Works relies on solid relationships with dedicated and trusted local partners in the Philippines, Cameroon, and with the members of the supply chain. This partnership model ensures that Net-Works can be adopted by local communities with great care and consideration of local economies, customs, and relationships. Interface, Inc. is the world’s largest manufacturer of commercial carpet tile. A global leader in innovation and environmental sustainability, the company sets the pace for manufacturing using materials and processes that take less from the environment. 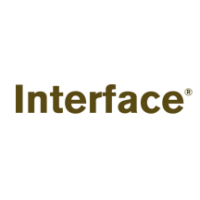 Interface is well along the path to Mission Zero®, a company-wide promise to eliminate any negative impact on the environment by 2020. In 2016 they launched a bold new mission – Climate Take Back – which aims to reverse global warming. It includes a commitment to lead an industrial “re-revolution” and create supply chains that benefit all life. Net-Works represents the first step for Interface in creating a truly inclusive business that benefits communities and closes the manufacturing loop in carpet tile production. 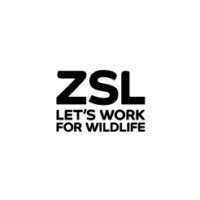 Founded in 1826, ZSL is an international scientific, conservation and educational charity whose mission is to promote and achieve the worldwide conservation of animals and their habitats. ZSL runs conservation programs in over 50 countries worldwide. Partnering with local communities to conserve their environment and promote sustainability is a fundamental component of these efforts. Net-Works contributes to ZSL’s work to collaborate with businesses and to protect and restore biologically important ecosystems essential for human development and wellbeing. A global producer of Nylon 6 yarn, Aquafil is proud to partner with Interface and the Zoological Society of London for the Net-Works initiative. Aquafil has pioneered state of the art technology to produce yarn from recovered fishing nets and other waste. 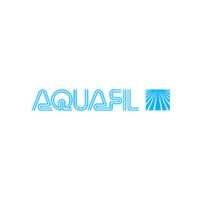 Aquafil remains committed to sustainability and hopes to work together with the team in the years to come, to replicate Net-Works in local coastal communities worldwide. 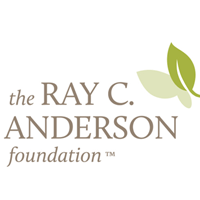 The Ray Anderson Foundation was created in honor of the late Ray C. Anderson, founder of Interface, Inc. and aims to help create a better world for future generations. 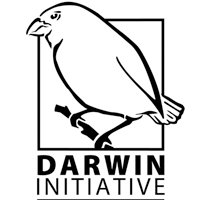 The Foundation is supporting Net-Works through a ‘Gray Notes Grant’ to develop and implement a replicable communications and outreach campaign that secures the sustainability and scalability of the project, integrated with marine conservation. The American Chemistry Council (ACC) represents a diverse set of companies engaged in the business of chemistry and works to solve some of the biggest challenges facing our world. The ACC is supporting Net-Works to increase community-based recycling in the central Philippines. Net-Works received additional funding in 2014 in the form of prize money from two European-based environmental award schemes. It won “best project” at the Sustainable Entrepreneurship Awards and was the winner of the “Biodiversity, Water & Natural Protection” category of the Kyocera Environmental Prize. Net-Works also received funding in 2014 from the U.S. Department of State Regional Environment Office for expansion within the Philippines, and in 2015, Net-Works was awarded prize funds as a Finalist in the St Andrew’s Prize for the Environment.